In order to make a living blogging you have to be dedicated and patient. You need to be ready to work hard as it will be the key to your success. If you truly want to be successful, be prepared to cut into your leisure time and to start working nights and weekends. You also need to have passion and faith in what your are doing. If you come up with an idea that you feel strongly about, don’t allow outside distractions or nay-sayers to keep you from making your idea become a reality. This is the mind set you must have if you want to succeed with blogging. That was the first half of my two cents, now here’s the more practical penny. Find something you are passionate about and/or have a good deal of knowledge about. This will become the foundation of your blogging strategy. This will be the niche industry/topic you will need to research. Upon this foundation you will need to lay a second, solid layer. This involves finding a great domain name, good hosting and WordPress. You don’t want to get months into your plan and find out you chose a horrible domain name and the cheap hosting you have is causing you problems. There are free blogging platforms available which may be tempting but they will inhibit your ability to make any real money blogging. 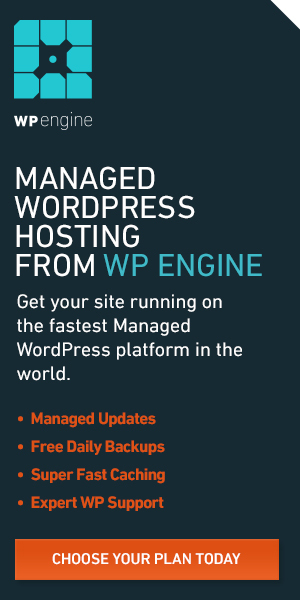 WordPress is by far the best option for you, but don’t take my word for it. I think if you do your research you will see a pattern of WordPress being the best option. I use WordPress on all of my websites as well as those I build for my clients. Okay, enough preaching. Here’s some of the main ways people are currently finding success with their blogs. 8 ways you can make a living blogging. They are listed in no particular order, however affiliate marketing may be a good place to start as you don’t need to have any of your own products/services to make money with it. Affiliate Marketing is one of the original money-making business models employed by bloggers. Amazon was one of the first companies to realize the power of affiliate marketing and currently run the single most popular affiliate program. Essentially companies with affiliate marketing programs like Amazon, will pay affiliate marketers to bring them business (sales). As an affiliate marketer, you become an extension of that particular companies sales/marketing team as you promote their program and get paid for it. You join a company’s affiliate program – Amazon, Ebay, larger websites in a niche, etc. They provide you with options for links, banners, videos or other marketing material you can choose from. You place your affiliate links or banners from that company on your website. When visitors to your website click on these links and makes purchases – or does an action that the company will pay you for – you get credit for the sale, and make a commission. The company pays you for these sales. One of the reasons why this has become a popular way to make money blogging, is that it doesn’t require you to have a product/service of your own. You market other people’s stuff and get paid for it. You are tasked with creating a marketing strategy that promotes the affiliate products and encourages people to click your affiliate links and make a purchase. There are two easy ways you can seek out websites with affiliate programs you may be interested in. Go to a website you’re interested in and see if they have one. A common place to search is the footer of the website. You can also do a search to see if a specific website has one. Search for – company name affliliate program. Check out some of the major networks in affiliate marketing. These are marketplaces where companies with affiliate programs and affiliate marketers can come together. As an affiliate marketer, you can check out companies you are interested in and sign up for their affiliate program all in one place. Some of the more popular affiliate networks include Commission Junction, ShareASale, PepperJam and Linkshare. Often times the hardest things to do in life, reap you the most reward. Making money blogging is no different. One of most lucrative strategies you can employ is to sell your own product. How are people going to purchase your products – what payment gateway system are you going to use – Paypal? Are you going to accept credit cards? Are you going to pack and ship products from your garage? There are already companies that offer order fulfillment solutions such as pick and pack services that may be a viable solution. Of course, digital products can be much easier to sell as there is no need for storage and traditional fulfillment. Upon purchase, digital products – ebooks, software, videos, etc – can be immediately downloaded by the buyer. The additional advantage this has over selling hard goods is the instant gratification the buyer gets by being able to use the product immediately. This can serve to increase the willingness of the buyer to whip out the credit card. Having a blog to sell your products serves as your storefront. It’s the place where you can really showcase your products, create content around them and create buzz. If you can scale the production of your product, you can begin to leverage other online marketplaces like Ebay and Amazon to expand your reach and sell more products. Heck, if your products really take off you can think big and see if you can get it on the shelves at traditional brick-n-mortar stores. If you have your own digital products and/or a level of expertise in a given niche/industry, you have the basis for building a membership site. 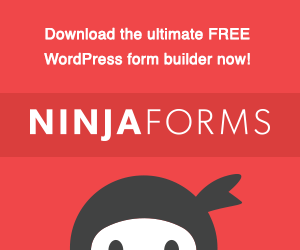 We have a membership site that helps people learn WordPress. It uses a very popular membership site software (a plugin) called Wishlist Members. In a membership site, your customers can be offered so much more than rummaging through blog posts, or downloading a whitepaper. With a forum their is content that typically gets updated regularly and it’s coupled with the value of community support and feedback. This method of content delivery and support in one place really simplifies matters and makes for an easy, convenient place for people to go seek knowledge and advise. 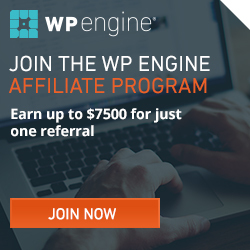 At Wpresstic, I use a membership plugin called Wishlist Members. I tested using Magic Members (a popular alternative), but decided to go with Wishlist. I recommend checking both of them out if a membership site interests you. This is something many web designers, writers, and freelancers with different skill sets currently do to make a living. Their blogs are used as a way to generate leads, create new business, and show off their expertise. It becomes their digital storefront. If you have a set of skills that you think other people would be willing to pay for, then this is a business model that can become quite lucrative and satisfying for you. In recent years, this has become easier to do online with sites like Odesk and Elance. These are marketplaces where freelancers and businesses can find each other for purposes of forging business relationships. Businesses and individuals post ads for the types of services they are looking for and freelancers (job seekers) bid on these jobs. The job is awarded to a bidder and after the job is complete, the bidder gets paid through these marketplace sites. This has become a much safer way for businesses and freelancers to do business as there are several checks and balances involved in being able to create accounts for these sites. If you don’t have a ton of traffic and are finding difficulty in getting your website to generate leads, using some of these sites can help you get the ball rolling. You can also use your website as a kind of reference for contractors to look at when determining who they are going to hire. Adsense is one of the original ways people made money with their blogs – and it’s completely free. Essentially, you allow ads from the Adsense auction marketplace to be placed on your site. Advertisers go through an automated bidding process and Google displays different ads on your site based upon this bidding process. You get to determine where on your blog you want these ads to be placed and what sizes. This is very similar to selling adspace which I explain below. Here’s a quick video from Google on their Adsense program. Selling adspace is not a new concept in revenue generation for media companies. Newspapers have been selling adspace for well over a century. You can take this same approach with your blog. No matter what niche or industry your blog is in, their is the potential for someone else to pay you to advertise on your blog. Many niches have complimentary niches which target similar audiences without being direct competitors. Resources: Michael Hyatt has a great post on how to get started with selling adspace on your blog. So what is a Freemium model anyway? Freemium is a business model by which a proprietary product or service (typically a digital offering such as software, media, games or web services) is provided free of charge, but money (premium) is charged for advanced features, functionality, or virtual goods. The word “freemium” is a portmanteau neologism combining the two aspects of the business model: “free” and “premium”. Software and content sites come to mind when I think of Freemium business models. Have you ever downloaded some free software that gave you a taste of what it can do, but in order to get the full value of it you need to pay for it? This would be a freemium approach to making money. Content sites like ESPN and the New York Times use this same approach. They allow anyone to read some of their content but in order to read what they believe is the good stuff, you need to pay for a subscription. If you have the skills to create software, scripts or WordPress plugins, you may want to consider this approach. If your website garners a good amount of traffic and you think you have content that people will pay a subscription for, then this route may be a viable option for you as well. You may be surprised just how willing people are to donate money if they feel that they have received some perceived value from something. Many WordPress plugin developers work on this model, only asking for donations from those who use their plugins. Other ways people use this strategy is for software and content. The content is typically more than a simple blog post. Most people aren’t going to make a donation for a run-of-the-mill post. But they may donate for a very informative ebook or blog post series that helps them solve a problem. I hope after reading this that you can see there are many ways in which you can blog for a living. Again, nothing worthwhile in life comes easy and blogging is no exception. As your blog evolves you can begin to diversify your revenue streams. Many successful bloggers use email lead generation to promote affiliate products (or their own products) to their subscribers, while displaying advertising on their site. By combining several revenue streams, you can diversify your risk and increase the value of each visitor.